We ship to Canada and USA. No Duties, No problems! Free Shipping to Canada and USA on orders over $99. The 985 AR15 case has been designed by enthusiasts for enthusiasts featuring details that even the most demanding marksmen will appreciate. Engineered to fit a standard 36" AR 15, this quality foam won't degrade over time. The case comes with all foam fillers in place so you can custom tailor the case to your individual requirements. Enter your email below to get notified and get exclusive discounts. The lid organizer literally added 30% more usable space and 100% more organization to my 935. All my batteries, tools, XLR cable, field recorder, chargers, cables, and tools, now are no longer buried in the bottom of the case, but up out of the way where I can easily get to them. The lid organizer just added a a new level of useability to my 935. I love the overall quality of the case and the fact that it can fit six pistols with trigger locks. I use the case for transporting my handguns back and fourth to the range. The quality and attention to detail is what made me decide to purchase the Nanuk 935 6 up pistol case over the competitors. I am proud to support canadian products especially when quality and detail are at this level. Thank you for a great porduct. I can't say enough about the purchasing of this case from start to finish. Went on line and bought the case and then thought of the TSA padlocks, which I highly recommend, so decided I wanted two but my order was already processed so I called the 1-888 number and an actual person answered the phone, this was probably at 7 pm eastern time as I am pacific time three hours difference! Now that's customer service! We quickly added the locks to the case order to take advantage of the free shipping, another bonus!, and a few days later, the package was at my door on the exact date the tracking reference said. Now the case... I wanted this to carry my pistols to the range and this case is.....perfect. 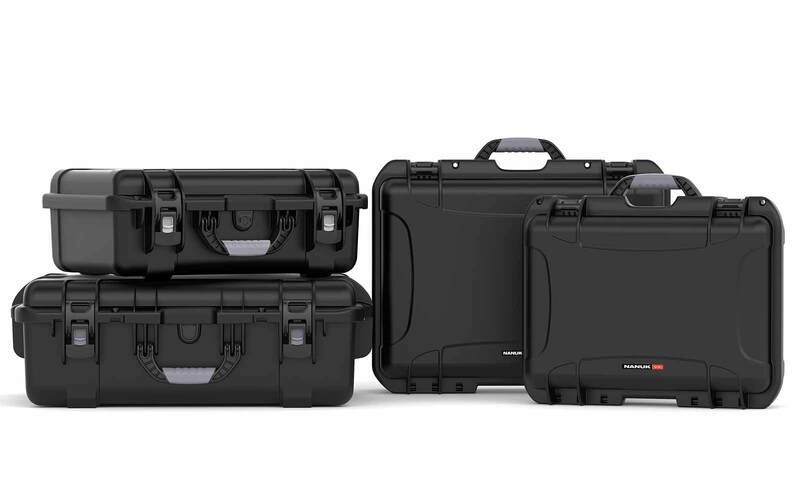 You cannot go wrong with the fit and finish of these cases, they are top notch and anyone considering a case needs to consider these, you will not be disappointed. Many thanks to David and his superior customer service and so proud you are a Canadian company, Merci!!!! This NANUK Case beats any other case of this size. I was able to fit my DJI MAVIC PRO PLATINUM Drone quite easily. The MAVIC fitted like a glove in the cutout. The cutouts for the batteries fitted as described. There's extra room for the DJI charger and outer accessories. This case is built like a tank, strong and indestructible. 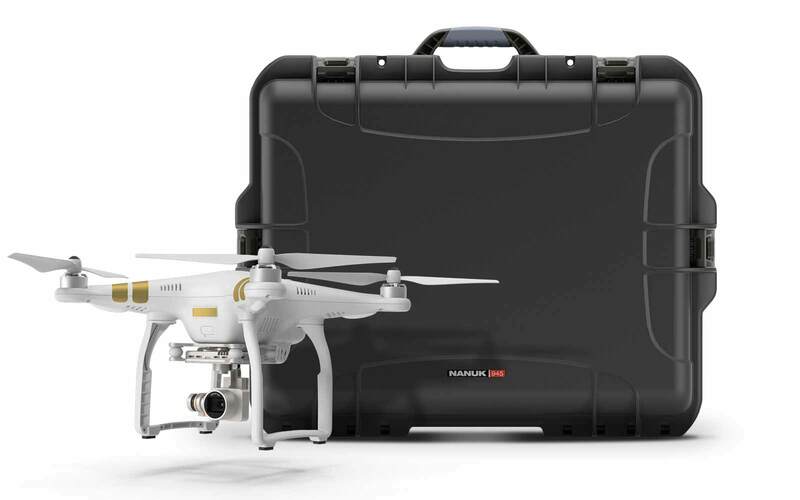 This my second NANUK case, the other one is for my DJI Phantom 3. So I could not go wrong buying another NANUK Case. The delivery was fast as promised. Thank you David for an excellent case and service. As soon as i pulled this case out of the box I was instantly impressed. Such good quality. I love the rubberized handle, it is very comfortable. Made in Canada is a big deal for me as well. I will always choose Canadian made products first. I will absolutely be buying more of these cases. I very appreciate the service from the Hardcase.com. 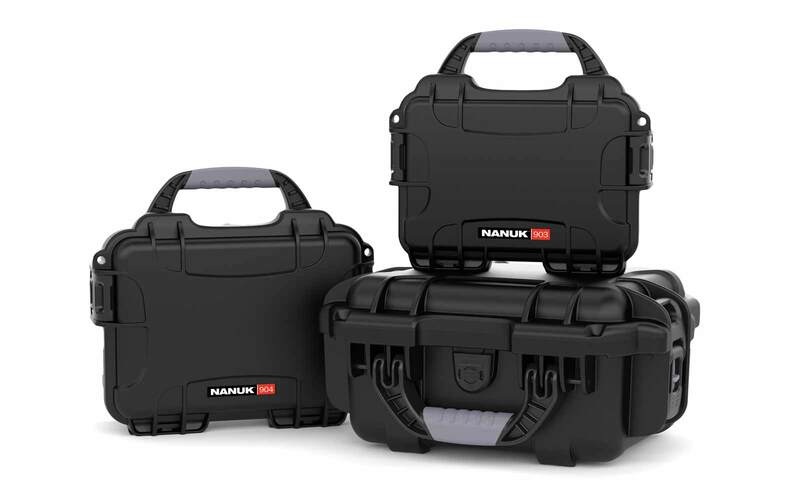 The product (Nanuk 935 6 UP) is great and solid but little bit heavy. The service is excellent and fast. Thanks David and Hardcase.com. Bought it with padded dividers and shoulder strap to protect camera gear on canoe trips. As yet, not field tested, river still frozen However, very pleased, all gear fits and appears solidly protected. Minor complaint, could use some adjustable dividers for more flexibility in fitting. While very strong and grips the shoulder well, a longer shoulder strap would help as I am slugging gear over portages, not just walking out to a car. Service was incredible, UPS delivered to the wrong house and David took the time immediately to get answers from UPS and offered to ship me a replacement right away. Fortunately later that same evening a neighbor called saying they had my package. I looked at other brands and am very pleased I chose this one. The hardest part about buying from this company but deciding which case to choose. In the end, I decided on a Nanuk 935. 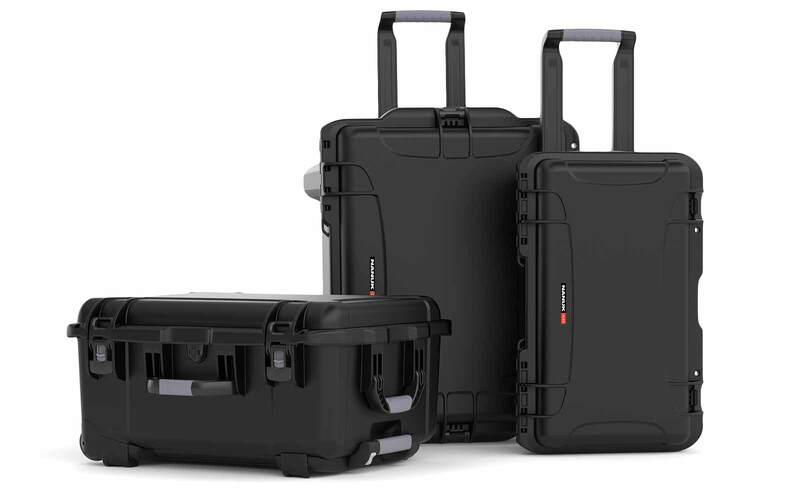 Not only because it's made in Canada, reasonably priced, sturdy, waterproof and good looking but because it's the perfect size to house my 2 DSLR cameras, 5 lenses, battery packs and misc. 'stuff', but it has wheels. I ordered it and had it in hand within the week. Fabulous customer service that follows the cases progress from the time it leaves, to the exact time it is delivered. I'll be back for sure for another. With the money I saved on this case, I can afford another piece of equipt to start filling up a new case. I love this case so much I bought another one. The padded lining is excellent to reconfigure when I move my camera equipment around. David is a great help. Thanks! Excellent case, holds 6 handguns with locks firmly in the case as described. Will be ordering a second case this spring. 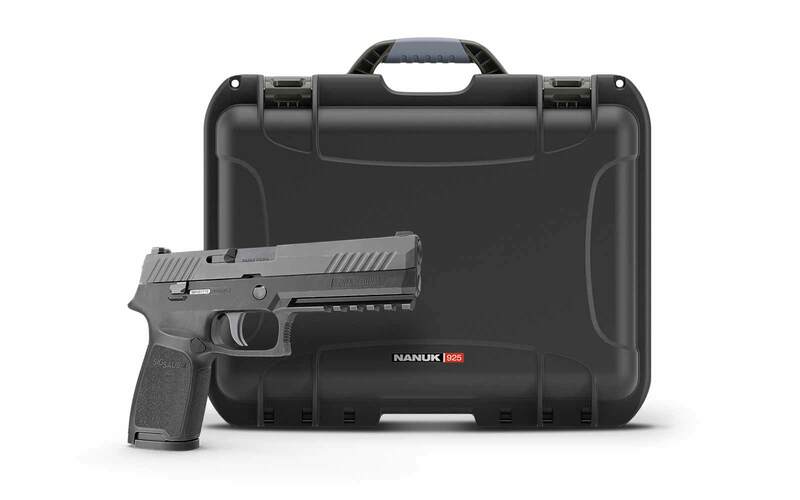 I highly recommend this case to any handgun owner, this case is built like a tank & protects your handguns from contacting each other during transport or in case of a accidental drop or an impact. 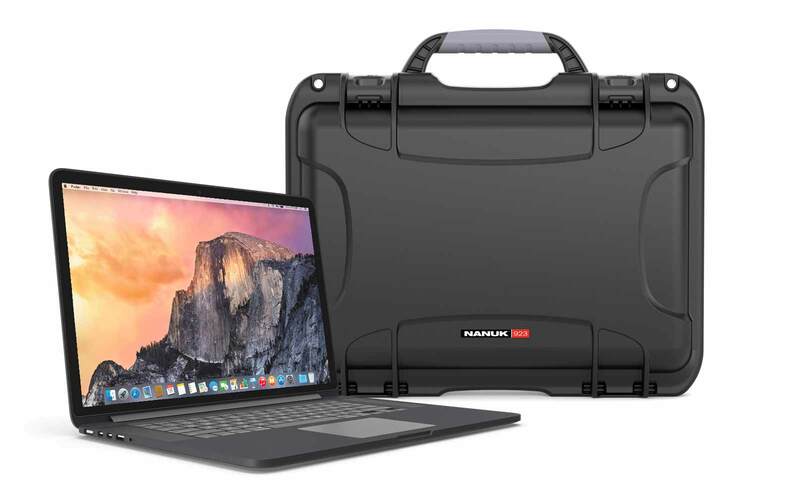 I also like the fact that the case comes with wheels & a pull out handle in case you're tired & you want to pull your case rather than carry it, depends on the day. Great case... Thank you.. I took it to the range for the first time last night and it was so nice to be able to fit all my gear for a short session into just ONE case! Very well received by many who were there. 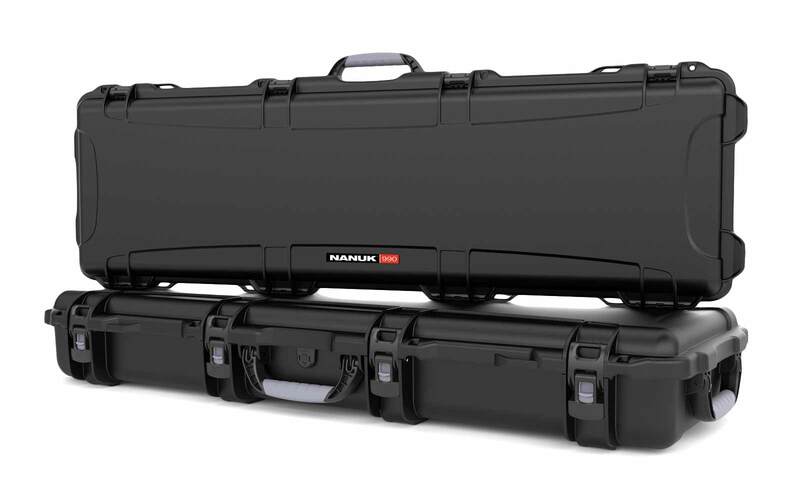 All were impressed by the many features that attracted me to the Nanuk 935 6-pistol case. A-1 Quality and David is an A-1 guy. 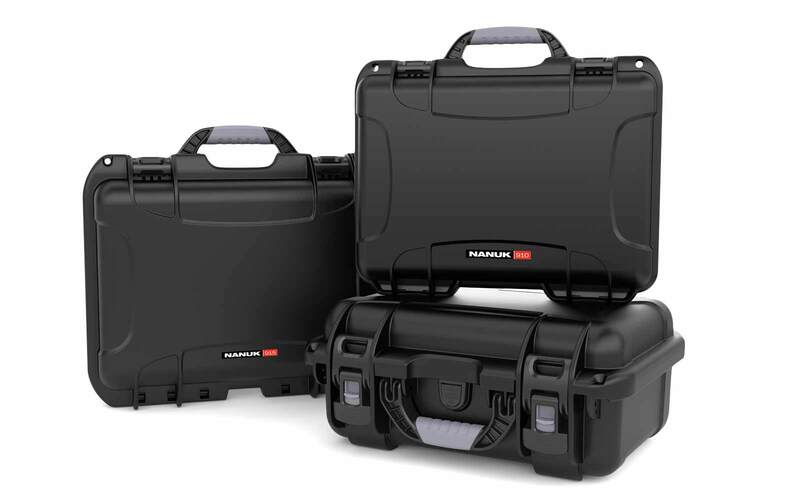 I would highly recommend you consider any Nanuk cases for your needs. The 995 is next on my list!! I was so delighted with the first case I bought a second one. The quality and workmanship are second to none ! The service is outstanding . I would highly recommend the company and their awesome product ! © 2019 HardCases.ca is a division of Digital Convulsions Inc.
We score HardCases.ca 4.9 out of 5 based on 1656 reviews.